Lesley McCoy works in a day-care center, and she is planning to start a family of her own. Her husband, David, is a homebody whose job as a wilderness guide takes him away for long periods—but when he’s home, he’s the best partner Lesley could imagine. Kendra McCoy is a successful businesswoman whose husband, Eric, is an analyst who specializes in Middle Eastern politics. He supports her enthusiasm and drive to succeed, and is the perfect partner—when he’s home between assignments. While trying to identify a man who collapses in a Portland, Oregon, coffee shop, two wallets are found: one belonging to David McCoy, the other to Eric McCoy. Devastated by their comatose husband’s betrayal, Kendra and Lesley reluctantly join forces in an attempt to piece together a true picture of the man they both fell in love with. Instead, they uncover a vast web of deceit as they learn their husband lived a third life neither of them suspected. Born in Toronto, Brenda L. Baker spent her working life writing computer programs in Canada, the United States and the Netherlands. Her passion is exploring new cultures, with knitting and reading tied for second place. She likes cats, but resists owning one herself, since everyone knows little old ladies can't just stop at one. We writers like to play a little fantasy game called Cast the Characters. (Okay, maybe it’s more than a game. It’s not like I can write about real people. Besides, if Spielberg calls, I want to be ready for him.) So here’s your chance to play along. Pretend you’re a Hollywood casting agent. What actors would you choose to play your favorite characters in this novel? There is a difference between facts and opinions. When it comes to romance, those of us who aren’t mind readers must make do with opinions. 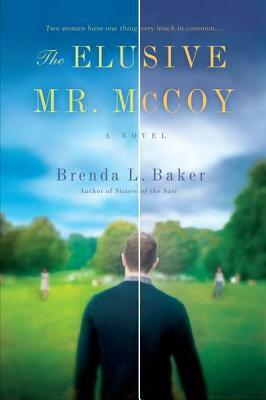 In the first half of the book, Kendra’s and Lesley’s versions of McCoy were based on their own preferences and experiences. Did you feel one of the women had a better understanding of her husband than the other? Was your opinion of McCoy, given your own preferences, different from theirs? Although I am not a Buddhist, I appreciate the philosophy of taking responsibility for one’s own actions and emotions. One of Peony’s roles in the story is to help her daughter accept this responsibility by confessing to her own long-­ago temptation. Do you think she was right? Does it help us to forgive another person when we have had a similar experience? Does forgiving someone else help us forgive ourselves? And while we’re on the topic of forgiveness, how did you feel about McCoy by the end of the book? Did you feel sympathy ­toward him? Would you have forgiven him if you were Kendra or Lesley? I got mixed feedback on Cheetara and the Holly Virgin. Some people felt McCoy’s artistic tribute to Kendra’s and Lesley’s sexual attributes was a form of flattery. Others thought it was demeaning. I’m mostly in the second camp, which is why I had McCoy regret his actions when he fell in love. Which camp are you in, and why? Fletcher’s adolescent fantasies are included as a foil for Jason’s more mature problems with relationships. What do you think of the way Jason deals with his son’s sexuality? Is he being progressive and realistic or foolishly permissive? If you are a parent, which is more in line with your parenting style? If this were a romance novel, McCoy’s total focus on pleasing his wives would have made him the ideal ­partner—­other than the bigamy thing, of course. In real life, no one is that self-­sacrificing, or at least I don’t believe they should be. What do you think? Can such a lopsided relationship be successful? Lesley is a stereotypical old-­fashioned girl, while Kendra is the epitome of an ambitious modern woman. Do you think Lesley’s protected upbringing played a role in her naive inability to initially recognize the extent of McCoy’s betrayal? And was Kendra’s first response, to cut McCoy out of her life, justified in light of her materialism and social aspirations? The way characters in a story react to the setting and props in a scene can tell the reader a great deal about personality and motivation. In this book I particularly enjoyed using the big city/small town contrast to highlight the differences between Kendra and Lesley. I grew up in a small town and have lived in big cities for most of my adult life, which gave me the ability to sympathize with both characters. Were there any scenes in the book where the physical setting helped you understand one of the characters better?